Agri-cooperative major Nafed has so far allocated 5.50 lakh tonne (LT) of pulses at a subsidised rate to 11 states including Gujarat and Madhya Pradesh under a government scheme for distribution through PDS and other welfare schemes, its top official has said. The pulses being allocated to the states are the one which have been procured directly from farmers under the Price Support Scheme (PSS) which is operationalised only when the rates fall below the minimum support price (MSP). About 51.62 lakh tonne pulses have been purchased under the PSS by Nafed, which was assigned this job on behalf of the central government, in the last two years. It is now left with a stock of 38 lakh tonne. To dispose of the huge pulses stocks, the Centre in October 2018 had approved a scheme to sell pulses at a subsidised rate of Rs 15 per kg over the issue price to states for distribution only under the welfare programmes of both state and central governments. "In a short span of three months, the scheme has been utilised by 10 states and one union territory, indenting stock of around 5.50 lakh tonne," Nafed Managing Director Sanjeev K Chadha said. 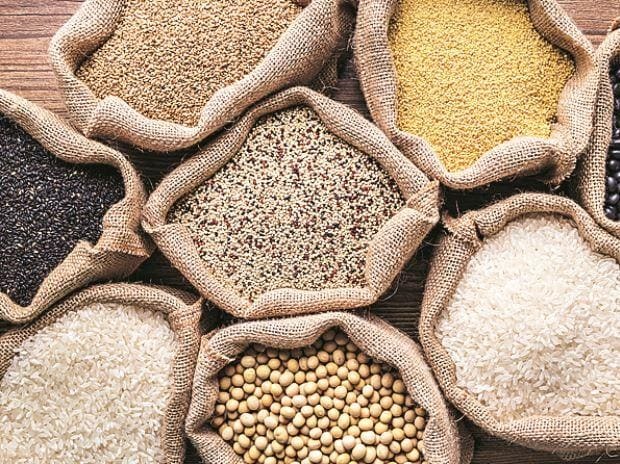 The pulses have been allocated to states such as Karnataka, Andhra Pradesh, Tamil Nadu, Maharashtra, Madhya Pradesh, Gujarat, Himachal Pradesh, Daman and Diu besides Kerala, he said. The states have already made payment for 3.22 lakh tonne of pulses and more states are showing interest, he added. Elaborating more, Nafed additional Managing Director S K Singh said the states are distributing subsidised pulses mostly through Public Distribution System (PDS), also called ration shops. For instance, the Karnataka government is selling tur dal at Rs 38 per kg, while Maharasthra is distributing chana dal and urad at Rs 35 per kg through the PDS, he said. "Jharkhand has placed its order for urad. We are in talks with Uttar Pradesh, Bihar and West Bengal," Singh said, adding that there is no cap on states for buying subsidised pulses from Nafed but they have to justify the demand. Stating that the sale of subsidised dals to states has lifted mandi price of pulses, he said there is an increase in wholesale rate of chana by Rs 3-4 per kg, tur and moong by Rs 10 per kg and masoor dal by Rs 4-5 per kg, which will help farmers. It may be noted that pulses prices have fallen below the MSP levels owing to record output and huge buffer stock with the government. Besides, Nafed has disposed of 12.22 lakh tonne pulses through open market and supplied over 12,000 tonne milled pulses to army and paramilitary force, Singh added. Nafed's primary business activities entails procurement of notified oilseeds and pulses at the minimum support price either under two government schemes the PSS and the PSF. It is also into production and marketing of certified seeds, bio-fertilisers, sale of milled pulses, organic products, among others. The cooperative said it had achieved a gross profit of Rs 252 crore during the 2017-18 fiscal with a turnover of Rs 3,213 crore.